I had the creative wind knocked out of my sails this morning by the news that Green Lantern: The Animated Series has been canceled. 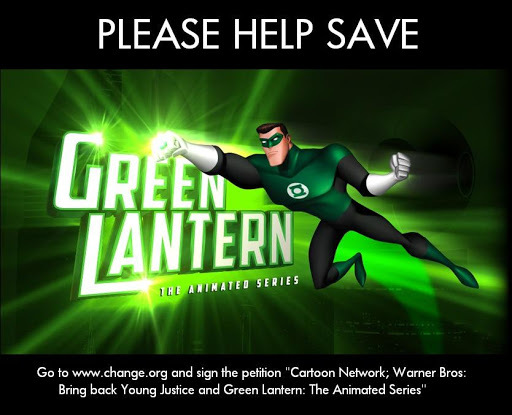 Right now I’m going everywhere I can find places to get the word out about this petition: “Cartoon Network; Warner Bros: Bring back Young Justice and Green Lantern: The Animated Series.” Please, if you hate seeing good shows get canceled, please sign this petition and pass it along. If you don’t want to sign it, please just pass it on. There may be friends of yours who don’t realize what has happened and, like me, don’t want to let this go without a fight. This year, I made the commitment to complete The Mariner Sequence – Book 1: Ravens and Roses by the end of 2013. I have committed myself to, not only finishing writing it, but also editing it. You’d think I’d be happy about this. And, in a way, I am. I’ve made significant progress. I just broke 180 pages yesterday. This is the point that writer’s work towards, the place where many fall down. The hardest part of any work is finishing it. First post of 2013! Here’s hoping it’s better than 2012. A) How do you write consistently every day? B) How do you decide to measure your progress: with word/page counts or time spent? Which is best?